The BeTheBoss.ca team surveyed over 450 franchisors that are currently in the Canadian market place. 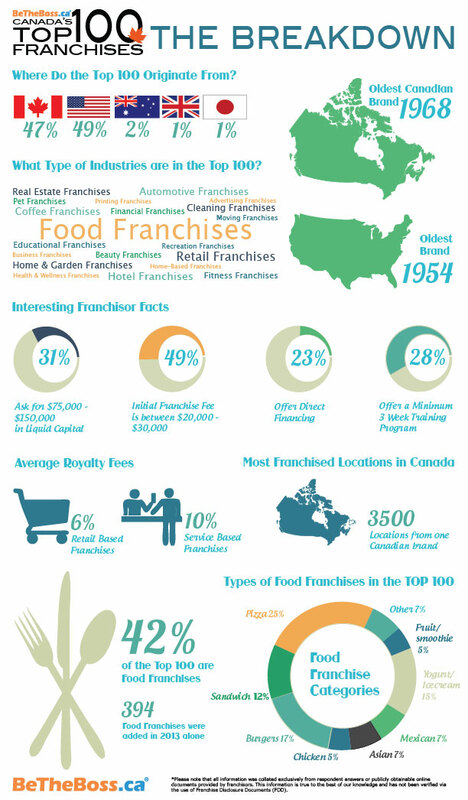 The results are in and they are happy to release the Top 100 Franchises Operating in Canada results. They decided to create an infographic to share and display what has been discovered.